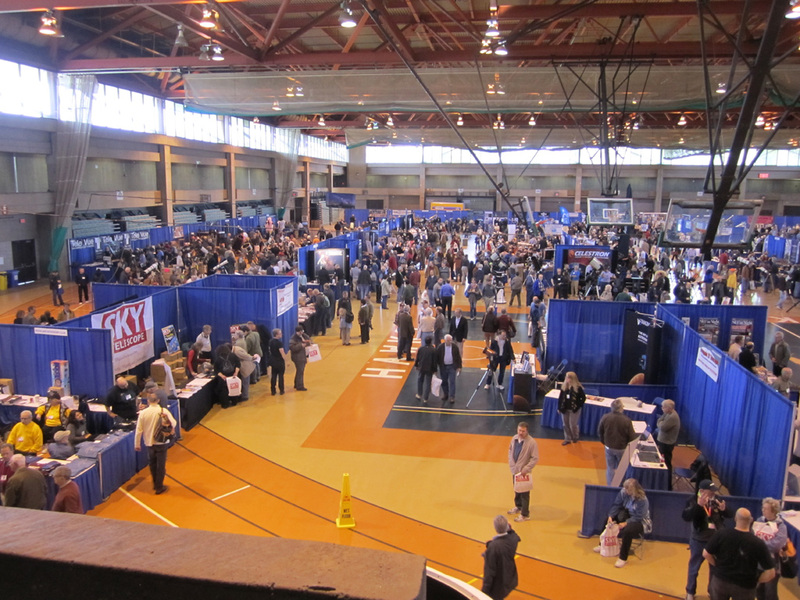 Rockland Astronomy Club Hosts NEAF 2013! Barlow Bob (Rockland Astronomy Club member and Solar Observing guru) has sent an official invitation to NEAF 2013, hosted at Rockland Community College in Suffern, NY (a leisurely 4 hour drive from Syracuse). Celebrating its 22nd Anniversary, NEAF is an annual two-day event featuring speakers, solar observing (neafsolar.com), workshops, and vendors, vendors, vendors! At present, Ryan Goodson (representing New Moon Telescopes) and I are confirmed Syracuse attendees. 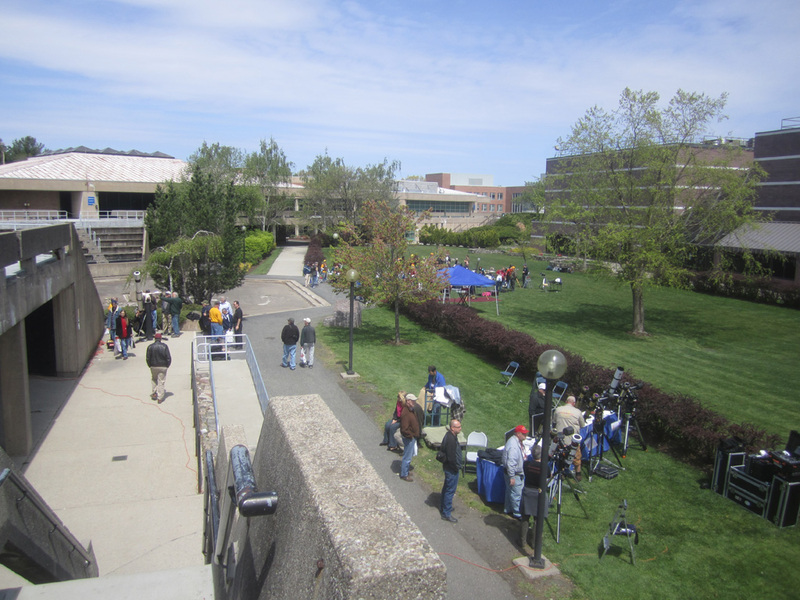 As NEAF is THE vendor-focused daytime event in our area, it serves as a focal point (no pun intended) for many other local societies to attend and see other amateur astronomers they don’t get to see all year (and it even happens in the daytime, so you actually get to see what your nighttime cohorts look like). I spent a large portion of NEAF 2011 attending the many astrophotography lectures (a highlight for me being Alan Friedman’s explanation of how he processed the print I later purchased) and accessorizing my own scope (“Ruby”) with Televue eyepieces. NEAF 2012 was a surgical strike with another observer looking to purchase his first high-end refracting telescope (also for imaging). In both cases – and amateur astronomers will recognize this point immediately – it is very difficult to find one location that has on display so much high-end equipment for your (1) direct questioning of vendors, (2) indirect questioning of happy (or not-so-happy) owners, and (3) general viewing pleasure. While we stress the importance of starting observing with nothing more than binoculars and a good star chart, amateur astronomy can become a VERY expensive habit depending on where you want to focus (no pun intended) your observational study. Beyond the educational lectures and workshops, NEAF provides you direct access to a wealth of equipment and information that is hard to collect from web searches alone. 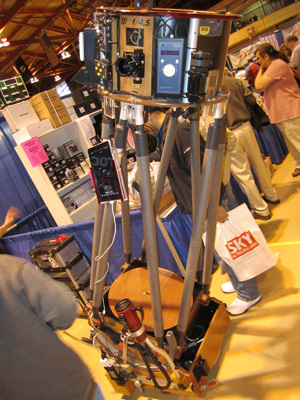 So, if you’re fortunate enough to be collecting a refund on April 15th (or have been smart and saved up all year for a pilgrimage to the Televue booth), consider attending the largest indoor event in East Coast amateur astronomy. 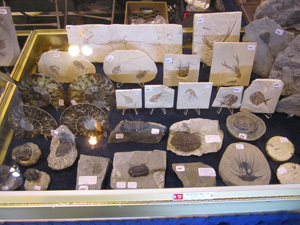 Information about NEAF 2013 can be found at its website: www.rocklandastronomy.com/neaf/index.html. ABOVE: a Dobsonian with everything on it! 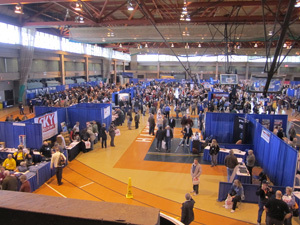 ABOVE: 1/2 of the vendors at NEAF 2012. 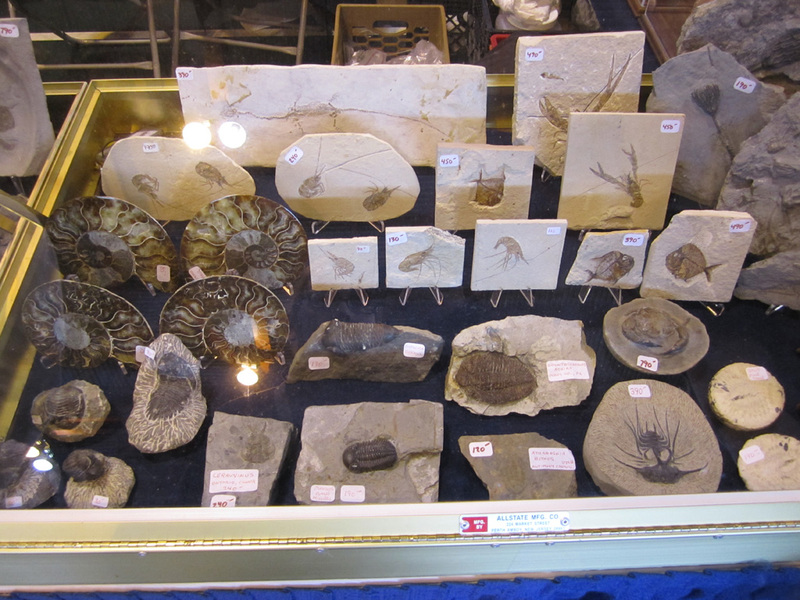 ABOVE: more than just astronomy equipment for sale! ABOVE: view of the 2012 Solar Star Party.